October 2015 – The Urban Development Corporation (SAU, at that time the SAF) appoints three project managers who take on the role of ‘single point of access’ to the authorities with regard to the development of the Canal operational zone. February 2015 – The Government of the Brussels-Capital Region adopts the Canal Plan implementation methodology: the formation of a dedicated team; the definition of an operational zone; ten years to realise its ambitions, etc. December 2014 – The Government of the Brussels-Capital Region appoints Kristiaan Borret as the Region’s Chief Architect and designates him as the ‘pilot’ of the Canal Plan vision. March 2014 – The Minister-President of the Brussels-Capital Region presents the development options for the Canal Area, and in particular the Biestebroeck, Birmingham and Vergote sites, at MIPIM in Cannes. 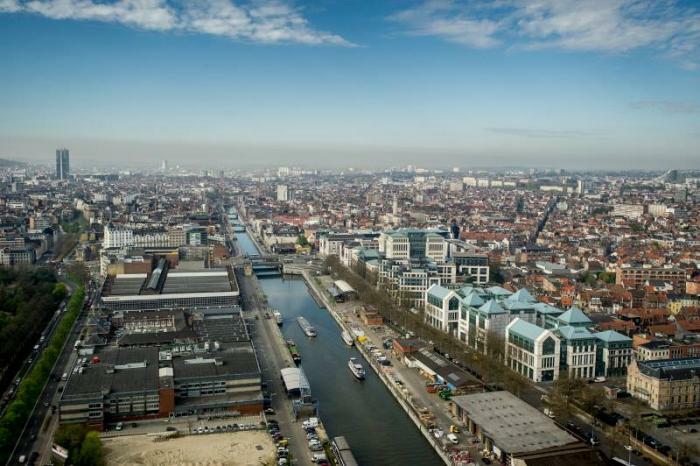 September 2013 – The Government of the Brussels-Capital Region approves the interim ‘Canal Plan’ report and selects six test sites: Biestebroeck, Birmingham, Heyvaert, Béco, Vergote, Buda. October 2012 – Designation of the team of Alexandre Chemetoff et Associés following an international consultation for the creation of a ‘master plan’ for the Canal Area.